Check these web pages for up to date information on the area and places to stay and eat. 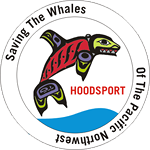 Remember to visit hoodsportwa.com for more information about other events and places to see and visit. Also, you will find a list of places to eat and sleep.